For Christmas 2015, I bought myself a new pair of Bluetooth headphones. After trying several sets, I settled on Master & Dynamic MW60, which were a fantastic choice then and are still my top recommendation nearly a year later. The wireless cans replaced my beloved Grado RS1e -- no small feat. Read no further and buy the M&D cans, if wireless listening is priority -- and should be if using iPhone 7 or 7 Plus, which lack 3.5 mm jack. Authentic audio, spacious soundstage, and full fidelity (without over-punchy bass) make the MW60 the gold standard for Bluetooth cans. The MW60 are bit of a masculine affair. Aluminum, lambskin, leather, and stainless steel combine in rugged style that evokes aviators of a bygone era. Wearing the headphones makes me feel, even for scant seconds, like the radio operator on an Air Force bomber. The design is both nostalgic and modern. 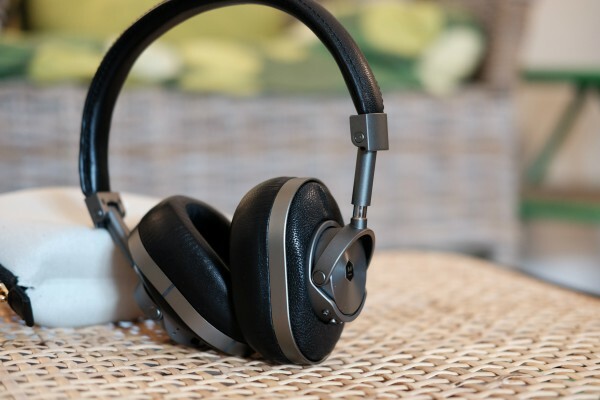 The lambskin-covered memory foam cushions are immensely comfortable, and they minimize sound leakage while blocking all but the loudest ambient background noise. When I bought mine last year, one color combination was available: Gunmetal and black leather. Two other options are available today: Silver metal and brown leather; black metal and black leather. The latter looks more modern than classic. I have used the cans, with complete satisfaction, connected to an array of portables: Chromebook Pixel LS; iPad Pro; iPhone, 6, 6 Plus, 6s Plus, 7 Plus; MacBook Pro 13-inch; Nexus 6, 6P. Low impedance, 32 ohm, means the MW60 produce plenty of volume from most any portable device without need of a digital amplifier. The controls for adjusting volume and pausing or changing tracks are accessible and easily-used; they feel solid, too. Listeners can take phone calls, using the built-in microphone, and then resume audio playback; easily. Stated battery life is 16 hours but I get so much more assessing how much is difficult. Twenty to 24 hours wouldn't surprise me. iPhone users will find that when wirelessly connected, the headphones' charge is displayed. Good place to look: Batteries Widget. Bluetooth connects easily, and the range is exceptional, best of class; even 15 meters (or more). Turning on the headphones connects them to the paired device. Rarely do I have to do more than power up the headphones and start the device's media-playing app. Meaning: Pairing problems are rare. Distinctive tones punctuate connected or disconnected status. But there's something you should know about Bluetooth audio. To get the best wireless listening experience, the connected device should support aptX -- as the headphones do. Apple doesn't support the streaming codec, not even for the audio-jackless -- some people might say audio-jackass -- iPhone 7 and 7 Plus. While I find the auditory nuances to be subtle between wired and wireless connections to non-aptX devices, differences can be discerned. Wired is ever-so slightly fuller and richer -- although nowhere enough a difference to abandon Bluetooth, which is how I always listen. Codec caveats aside, "immersive" and "full" best describe the audio signature of these striking, retro-styled headphones. Soundstage is present -- like you're there in the room with the musicians. You will be shocked watching well-audio-engineered movies, where that blast of gunfire behind the action hero will feel spatially real and present. Duck for cover! 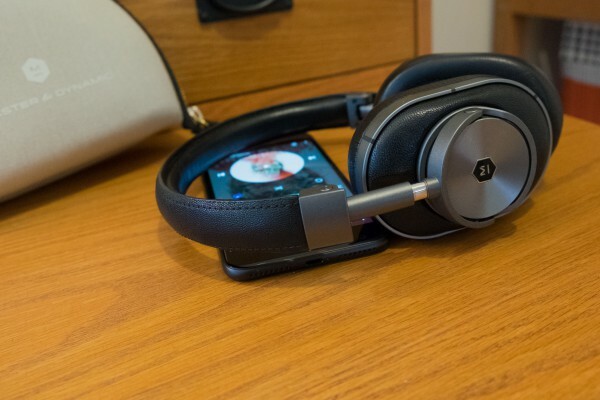 Soundstage is among the best I've heard in over-ear headphones and the best among wireless cans. Tonal range is balanced, presenting fine details, without punching the bass. The lows ride the mids and highs, without overbearing the ears. The MW60 delight with the faintest creak of the guitar's wood, full timber of the drums, and crackle in the singer's voice. Listeners demanding thumping lows should look elsewhere, however. Tonal balance, not over-emphasized bass, defines the MW60 sound signature. Compressed AAC and MP3 tracks are reborn, echoes of their former muddied selves, fresh and vital with renewed dimension. Whatever processing magic Master & Dynamic sprinkles into these cans, seemingly any sound source benefits. And more: Something in the processing somewhat makes up for aptX being missing on Apple devices. AAC sounds cleaner and fuller from the MW60. I asked Master & Dynamic for clarification and got the corporate equivalent of a wink-and-nod acknowledgement of something without explanation. You know, trade secrets. Streaming 1411kbps FLAC (Free Lossless Audio Codec) from Tidal treats the ears to fine musical detail lost to highly-compressed tracks. Same benefit applies to CD listening. In the strangest of ways, the MW60 are closest in tenor to the Grado RS1e. Both rely on design of the acoustic enclosure, rather than digital curmudgeonry, to produce authentic sound signature -- however, using vastly different materials to achieve the feat. But the Grados are bound by wires, whereas the M&Ds free listeners from them. Price is premium: $549, but the MW60 are worth every penny. Pay more, and you get more: The cans come with canvas carrying pouch, canvas cord case, and leather cable box, along with the expected 1.25 meter standard cable and another for micro USB charging. The MW60 are designed for auditory, tactile, and visual style. Stated differently: There is something Applesque about Master & Dynamics' engineering approach. Balance is the defining design ethic: How the MW60 feel when handled or worn and what is their tonal quality. There is surprising room in the established headphone market for newcomers that match engineering innovation with classic, retro design. Finally: If bass is your thing, these headphones probably aren't for you. But if you want great fidelity across genres -- everything from classical to punk -- and the convenience of wireless, Master & Dynamic MW60 won't disappoint. Soundstage is how instruments are spatially placed in audio recordings. The MW60 present superior soundstage, such that you often can visually place the instruments and singers, and even feel like you are in the room with them. Open-back headphones let in the most background noise or leak sound to those people nearby. 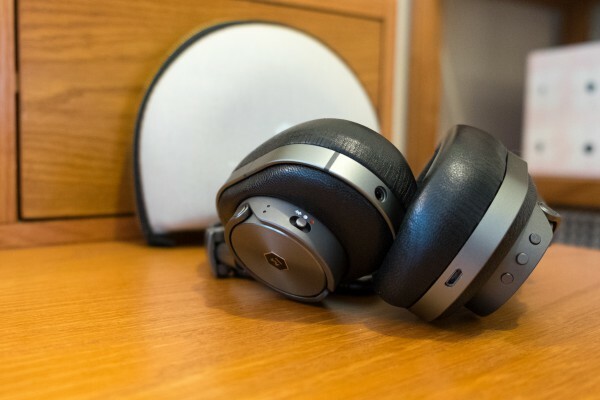 Open-backs also typically present the best soundstage of headphone styles. Impedance is a value you need to worry about. 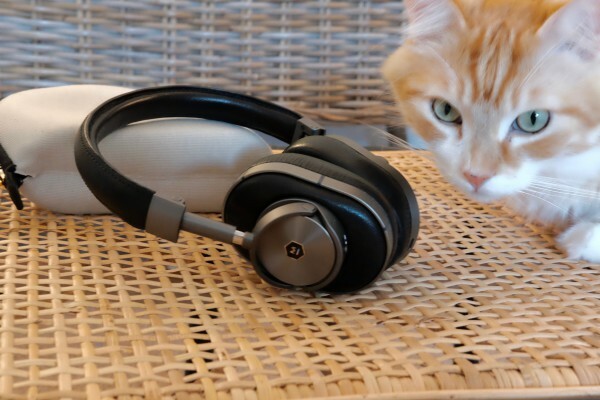 We'll skip the science and get to practical matters: If you're buying cans to listen to portable devices, like smartphones or PCs, you want lower impedance; I find 32 ohm -- what the MW60 deliver -- to be just right. If impedance is too high, you won't jack enough volume to your headphones without aid of an amplifier. For stereo systems you want higher impedance, upwards of 600 ohm. Frequency response typically ranges from 20 to 20,000 Hz, with bass and treble at both ends, respectively. The extremes exceed normal human hearing range, but not necessarily perception: Below 20 Hz, the listener may more feel the bass than hear it. MW60 offer ample range: 5-25,000 Hz. Transducer creates the sound, and there are typically three types: Dynamic (most common); Orthodynamic; and Electrostatic. Think little speakers. See Headfonics' explanation for more. MW60 are Neodymium.